The translation process differs in accordance to various factors. There is never a set way to translate a text – language is too complex for that. Literally translating word for word very rarely results in an accurate and effective translation. The factors involved in professional translation services affect the complexity and the end result. Here are five of the most important things to consider in any translation to ensure the final result is the best it can be. Humour is often regarded as one of the hardest elements to translate. This is because humour usually relies upon a play of words or includes cultural references. The meaning is therefore often lost in another language and culture. In fact, many jokes simply don’t have an equivalent in another language and translating them poses a challenge for even experienced linguists. The best option is to avoid jokes. The same is true of puns, wordplay and metaphors. While sometimes there are equivalents in other languages, often there are not. The translator is often at a loss as to how to translate something that is simply untranslatable. Obvious jokes are usually easier to translate. But what about subtle humour? That can be a far greater challenge. The New York Times published a piece looking into humour in translations, and this looks at the two problem areas of wordplay and cultural references. How do translators get around these? One option is to use an explanatory footnote. The effect may be lost, but at least the reader is kept in the loop. You could also opt for a more literal translation and lose the humour. Often, however, translators must be creative. Sometimes they might even have to create new puns in the target language. The nature of the source text will also have a large effect on the translation. Firstly, the length of the source text is crucial. Quite simply, a longer text simply takes longer to translate. But beyond that, its complexity also affects the translation. A more difficult text will involve a lot more work. This could involve a highly technical text or a text on a specialist subject. This will affect the amount of research the translator must carry out. The importance of the text is also a factor to consider. For example, when translating a contract, it is essential that everything is translated absolutely correctly and there is no room for errors. It might need to be double and triple checked to get it right. But you also have to consider the format of the source text and how long it takes the file to be formatted into Word where it can be translated. If the source text is on a PDF, it will need to be transferred, and this will take time. If it is a physical document, it will take even longer. If it contains graphs and images that need translating, this will also add time. Finally, the overall quality of the source text must be considered. Is it written out in handwriting? Is it difficult to read? This will all increase the time significantly. The source text might even have been written by a non-native speaker, or it might have itself been translated from another language. Local dialects are another factor when translating texts. When the source text makes use of specific dialects, these might use different words and phrases that make the translation process more complex. This is often encountered in literary translation. There might be the use of a specific dialect in the source text that you want to get across in the new text. You can lose a lot of the power of a text when the translation does not take the dialect into account. Again, creativity is needed. The translator must look at how the text is read in its original language and how it is understood. They need to get to the meaning behind the dialect and interpret this in the target language. This is why they must be experts in both the source and target languages. Another aspect to consider is the format of the translation. Translations are needed for all kinds of texts, including books, paper documents, websites, advertisements and more. Often, the format will have restrictions in terms of space permitted for the text. Take the example of a website. 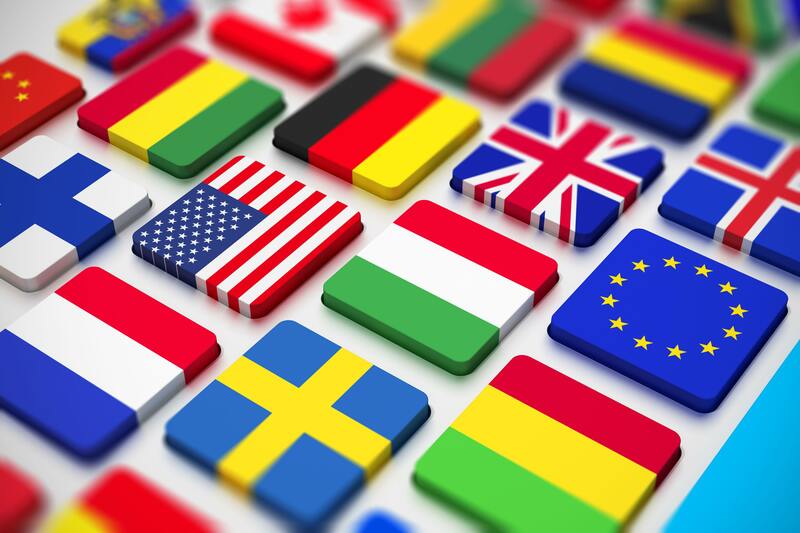 A translator might need to translate a website’s content from one language to another, but there may be only a very limited amount of text for each section. When translating languages that are more or less the same length, this might not be a problem. However, it can become a challenge when translating between two languages that are not the same length. For example, German tends to use more words than English to get across the same idea. In this case, an editorial linguist may find that the translated text, although accurate, does not fit into the design of the website. An image that corresponds to a section of text may not make sense anymore because the translated text is below it rather than above it. These are issues that the translator must consider and get around. Sometimes it may be the case that the design of the website itself must be changed to accommodate the translated text. Finally, the type of translation is also an important factor. For example, a legal translation will pose very different challenges to a literary or marketing translation. When translating a slogan for a business, this might require the creation of a whole new slogan rather than a direct translation. This is called transcreation, and it could take a long time to translate just a few words in this case. A legal text will require a legal specialist to carry out the translation and very specific terms will need to be used. So the type of translation will always affect the complexity and the amount of time it takes. As you can see, there are many factors that affect the translation process. Some of these are incredibly complex, and can affect whether the translation is successful or not. This is why it is always essential to hire a language specialist who can take all of these factors into account to ensure you get the best translation every time.